Small business development is known as a process which can assist owners of small-sized businesses in running their affairs with the help of useful technical and management resources. A small business is usually the first venture established by many who want to do business but do not have enough capital to build a huge organization. Also referred to as mom and pop store, a small business is usually owned and operated by private individuals who hire the least number of employees and receive lower sales. If you are thinking of building your own small business, then you should know that being fully aware about how to effectively carry out the small business development process can help you in making your business grow. You should consider getting a small business development certification as this will inform you about the things that you can do to improve its performance and profitability. Learning the basics of small business development can also help you gain awareness about all aspects related to your business including its financial, production, marketing, technical and engineering aspects. Being aware of all these is extremely useful in immediately noticing and analyzing problems and instantly finding the right solutions. Getting your small business development certification will also make you become more familiar about your organization while also helping you create feasibility studies that will show you how your business is currently performing or if a project which you are planning to execute is useful in making it grow. A comprehensive knowledge about small business development can definitely transform your business into a larger one. 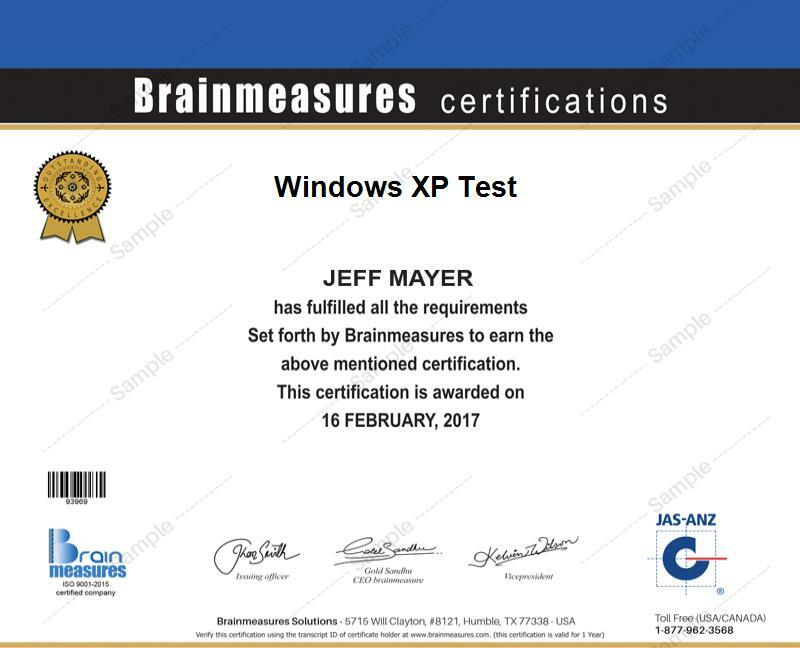 Because of all the benefits that a small business development certification can offer you in terms of improving the performance of your business or the organization which you are currently working for, it is just right for you to consider enrolling in the program offered by Brainmeasures related to the field. Brainmeasures is a good choice because of its proven ability to provide its practitioners with the most reliable learning materials and the widest coverage for its training. This means that getting your certificate from this legitimate online certification company can bring you closer towards your dream of becoming an expert in small business development. The company also has its own small business development exam and you need to take it and get a passing percentage so you can finally receive your certification. After finishing up your small business development course and passing the exam offered by this ISO certified company, you can start practicing your career as a real expert in the field. Brainmeasures admits anyone who wishes to become part of its small business development certification program. This means that you can enroll in the program anytime without being pressured about meeting certain requirements and qualifications. But enrolling in this certification course is the most ideal solution for you if you have just started running a small business or if you are one of those who wish to offer your services to small business owners who want to make their business grow. Small business development certification holders allow you to receive a higher annual salary. You can expect this salary to range from $72,000 to $117,000.